The Dermatology service at NC State is renowned for the diagnosis and treatment of allergic and autoimmune skin diseases as well as otitis (ear inflammation and infections.) Our veterinary dermatologists have expertise in the diagnosis and treatment of companion animals with any type of skin, mouth, ear, hair or claw diseases. Our dermatology clinicians accept clients directly or after referral by a primary veterinarian. Over the years, the service has developed an expertise on, and is now renowned for, the diagnosis and treatment of allergic and autoimmune skin diseases as well as otitis (ear inflammation and infections)—visit the tabs below for more information. 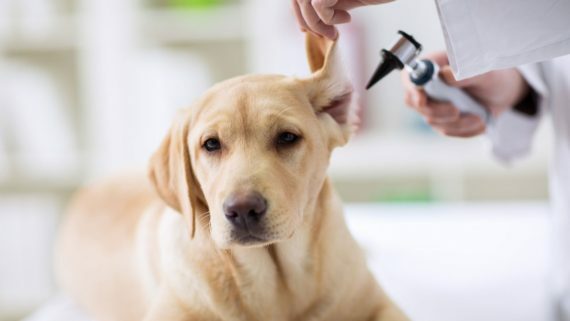 Dr. Marcy Murphy assists referring veterinarians and clients in the diagnosis and management of both acute and chronic otitis in dogs and cats. Ear flushing under general anesthesia. Drs. Olivry and Bizikova specialize in the diagnosis and management of dogs with atopic dermatitis and food allergies. We have a track record of special interest in the medical (pharmacotherapy) and immune modulation (immunotherapy) of canine atopic dermatitis. New molecules and treatment approaches are investigated as an aid in the control of itch (pruritus) and skin lesions. Allergen-specific immunotherapy may be initiated after review of the degree of symptom reduction with pharmacotherapy, amount and type of medication required to control clinical signs and whether or not effective allergen avoidance is feasible. You may be asked to participate in a clinical trial, which could help reduce the cost of treatment of your pet at NC State. Your pet will not be included in a study without your expressed consent. Drs. Olivry and Bizikova specialize in the diagnosis and treatment of small animal autoimmune skin diseases, especially pemphigus, skin lupus and other blistering diseases such as pemphigoids and related diseases. 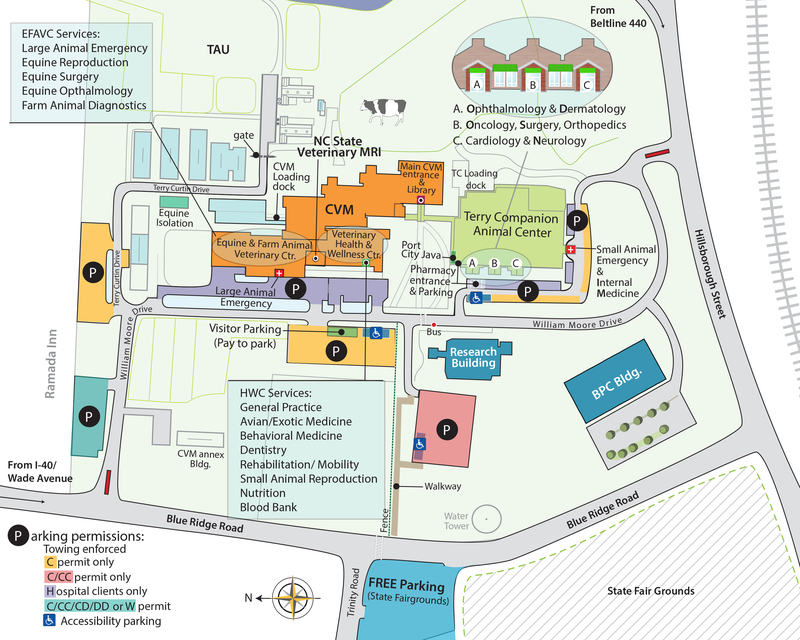 Furthermore, the unique availability of a research laboratory specialized in this area allows NC State dermatologists to have access to laboratory tests not available elsewhere. After you have scheduled your appointment, we would appreciate if you could complete the Dermatology Client History Form. This information will be very valuable for our students and clinicians to better know your pet and its problems. Please mail, fax, or e-mail the form to us as soon as possible prior to your appointment. Review: The student will then leave the room for about fifteen minutes to consult with one of our faculty dermatologists. At this time, the student and the dermatologist will also review any diagnostic material that the referring veterinarian has sent. The dermatologist will then introduce him or herself to the client and examine the patient.